Photograph of Sean Johnston and an unidentified friend playing outside of what appears to be the Johnston family home at 4447 Venables Street. 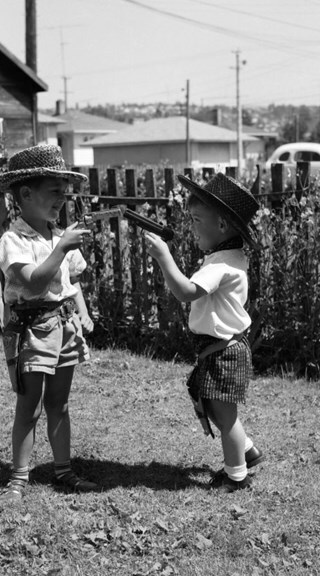 The boys are both wearing cowboy hats and holsters and are holding toy guns. 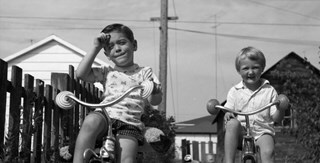 Photograph of Sean Johnston (left) and an unidentified friend riding tricycles, most likely near the Johnston family home on Venables Street. Photograph taken looking over the 4400 block of Venables Street. 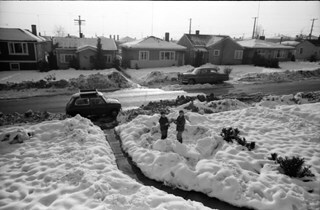 The ground is covered with snow and two children are standing in the front yard of an unidentified house. The photograph was likely taken at the Johnston family home at 4447 Venables Street and the boy to the left is Sean Johnston while the other child is unidentified. 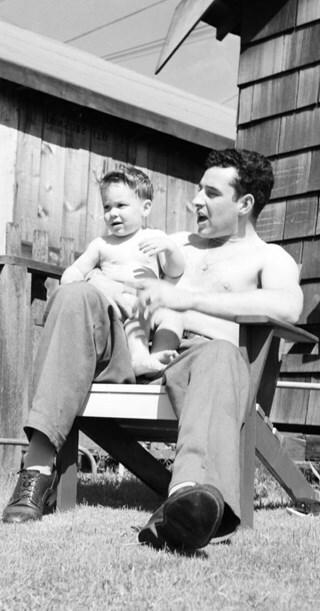 Photograph of Harold H. Johnston, seated, holding his two-year-old son, Sean, outside of an unidentified house. The location is likely at the Johnston family home at 4447 Venables Street. Photograph of Sean and Wendy Johnston, seated on top of the playground sign at Burnaby Mountain park. 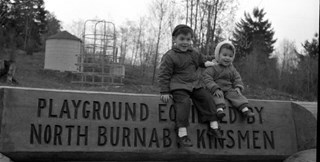 The sign reads: "Playground equiped by North Burnaby Kinsmen". 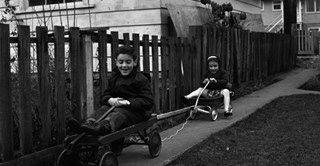 Photograph of Sean and Wendy Johnston sitting in wagons on the sidewalk, most likely near their Venables Street home. 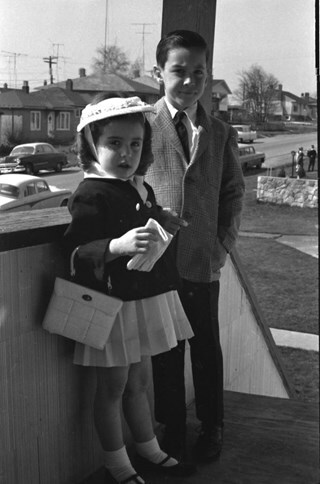 Photograph of Wendy and Sean Johnston dressed in their church clothes, standing on the front step of their Venables Street home. 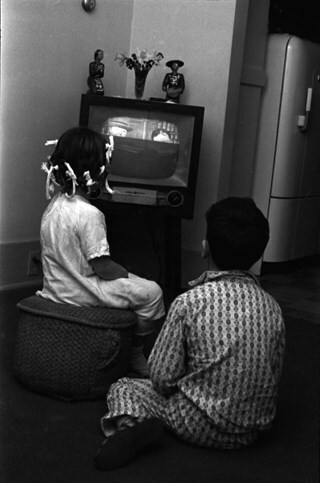 Photograph of Wendy and Sean Johnston seated in front of a television set in their Venables Street home. Photograph of Frances Johnston (at far left) with her two children, Sean and Wendy, outside of the family home on Venables Street. 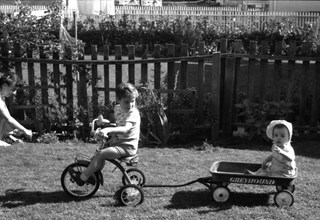 Sean Johnston is riding a tricycle and pulling his sister Wendy in a wagon. The word "Greyhound" is painted on the side of the wagon. 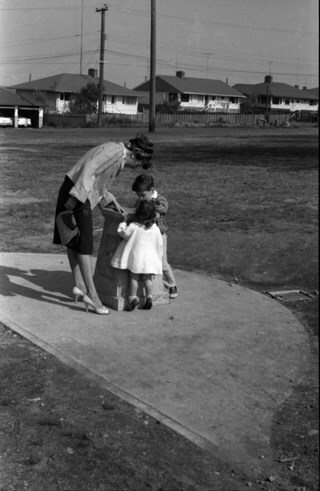 Photograph of Frances Johnston and her two children, Sean and Wendy, at Confederation Park. 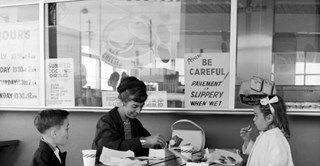 Photograph of Frances Johnston and her two children, Sean and Wendy, seated and eating at an unidentified fast food restaurant. Numerous signs and advertisements can be seen on the windows behind the family. 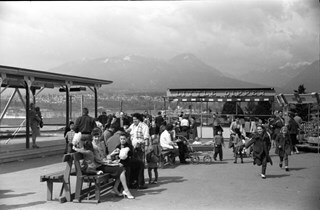 Photograph of people at Playland in east Vancouver. Seated on the bench to the left and looking towards the camera is Frances Johnston. Her two children, Sean and Wendy, are next to her. The others in the crowd are unidentified. In the background, a sign for an amusement park ride is visible and reads: Little Dipper. 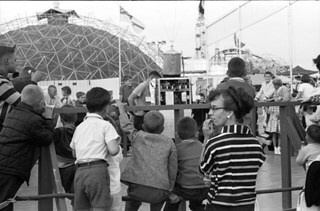 Photograph of Frances Johnston (to the right) standing alongside four boys with their backs turned to the camera watching a performance at the Pacific National Exhibition. None of the boys are identified, although it is likely that one of them is her son, Sean. 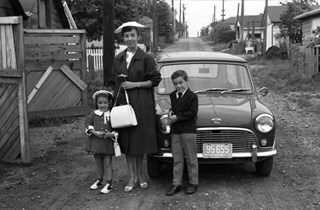 Photograph of Frances Johnston with her two children, Wendy and Sean, standing in front of a car in the back lane near the family home in the 4400 block of Venables Street. Photograph of Frances Johnston and her children Sean and Wendy standing underneath a sign for "Kiddieland" at Playland in Vancouver. 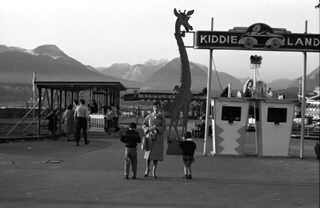 A large, giraffe-shaped signboard can be seen next to the entrance booths and a number of amusement rides are visible in the background. 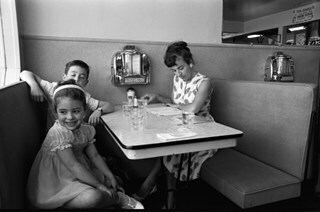 Photograph of Frances Johnston and her two children, Sean and Wendy, seated at a booth in an unidentified Burnaby diner. 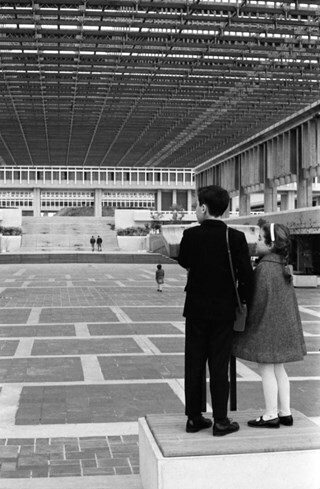 Photograph of Frances Johnston and her two children, Sean and Wendy, standing near a sideshow display at the Pacific National Exhibition. 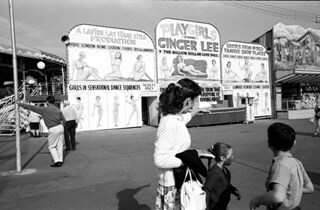 The sign for the sideshow reads: Playgirls - starring Ginger Lee.